A 3. 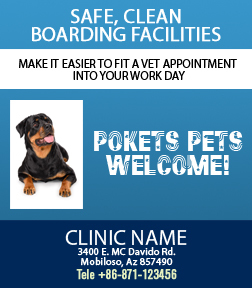 5 x 4 inches square corner veterinary car magnets are sought by veterinary service providers who wish to promote their services amongst a wide range of audience. This outdoor safe magnetic sticker may not be seen from a long distance, but a suitably designed one will definitely attract onlookers. They will make it a point to go near the sticker and read through the contents imprinted against it.